Ethel Austin started as a family business in 1934 when Ethel and George Austin opened a wool shop in Liverpool. At it’s peak, the company specialised in high quality clothing at low prices, selling more than 10,000 different product lines in its 200 stores across the UK with turnover in 1999 reaching £110 million. Ethel Austin moved premises from Aintree in 1986, and started supplying all of their stores from a single distribution centre in Liverpool. Each week it received approximately 15, 000 cartons of stock, and despatched 20-25,000 sacks of clothing to stores using its own truck fleet. Initially they had just a couple of bays of Redirack in the bulk storage area. 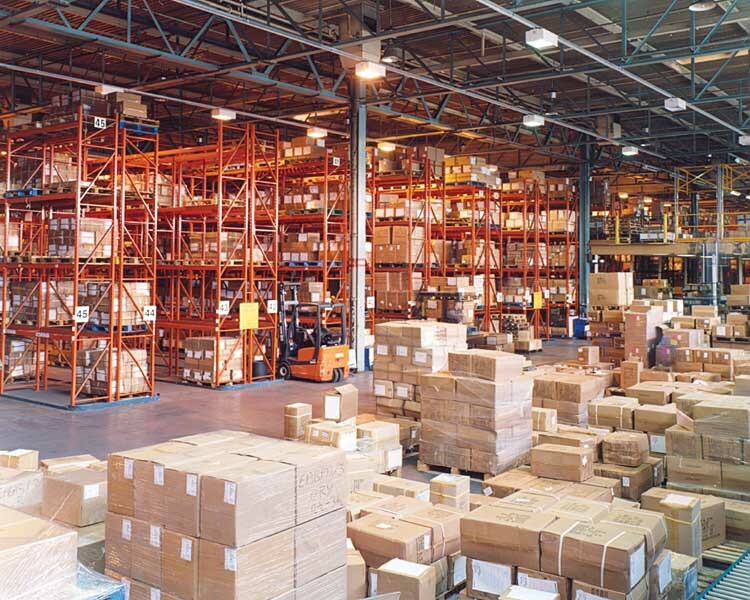 The distribution centre, which had a floor area of 230,000 sq. 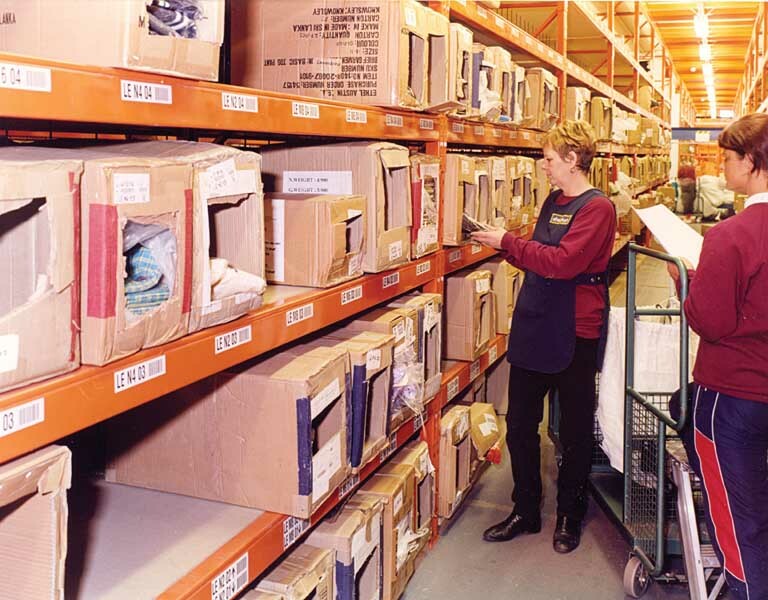 ft, was then divided equally between storage, picking and despatch and was fully equipped with Redirack. 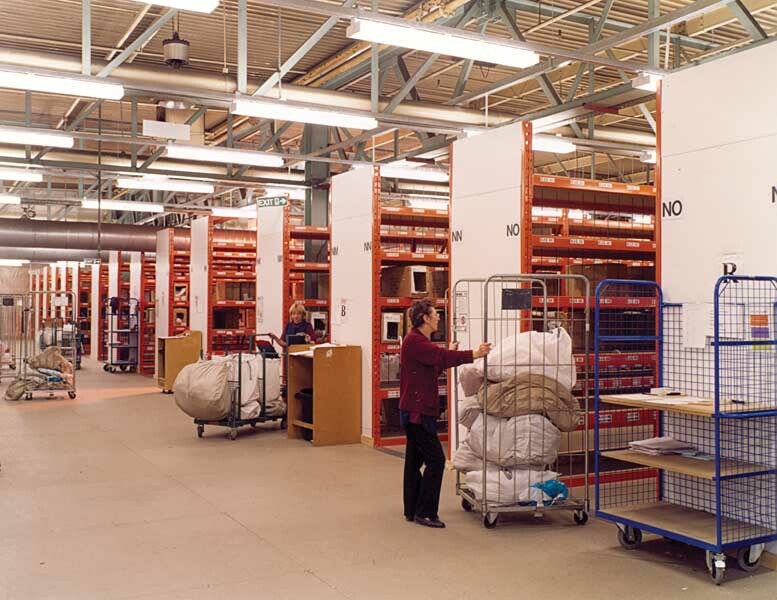 The last extension to the Ethel Austin distribution centre added a narrow aisle storage system. Their stores at the time were reducing their stockholding which meant that the Liverpool DC now had to increase its storage capacity. 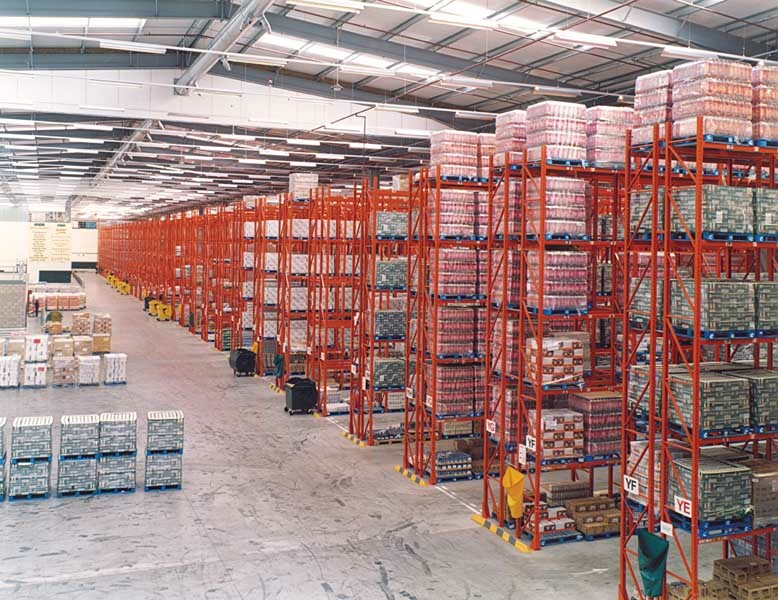 Within an area approximately forty-five metres square there were fifteen double runs and two single runs of adjustable pallet racking arranged in a narrow aisle configuration, with racking uprights extending to nearly seven metres high. Ethel Austin was very successful in one of the most competitive retail markets in the world and at the time delivered more than 35 million items annually, most of them next-day.